EnterpriseSMS API was built for the purpose of easy integration of business applications with the global text messaging network. 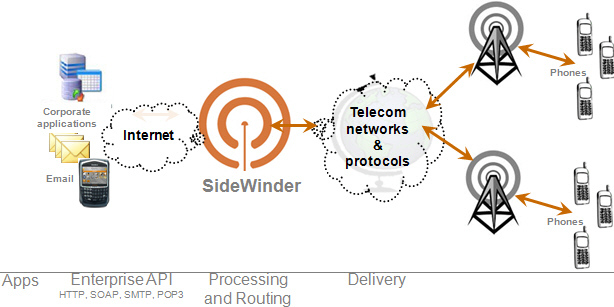 This API hides the complexity of telecom networks through the use of common application programming interfaces. In most cases, full integration can be completed within few hours. This document explains integration methods for sending and receiving messages. You can find full documentation and code samples of the API on the pages that follow. This page was last modified on 17 June 2011, at 13:58. This page has been accessed 325,013 times.